Asian stock markets largely fell on Friday, erasing the week’s gains in Taiwan and Malaysia, while Japan’s Nikkei was barely hanging on to its advance. But the biggest drop was in Hong Kong, where stocks were down more than 2% to extend the week’s losses. Aside from lingering worries over U.S.-China trade relations, investors weighed up data that showed consumer inflation ticking higher. 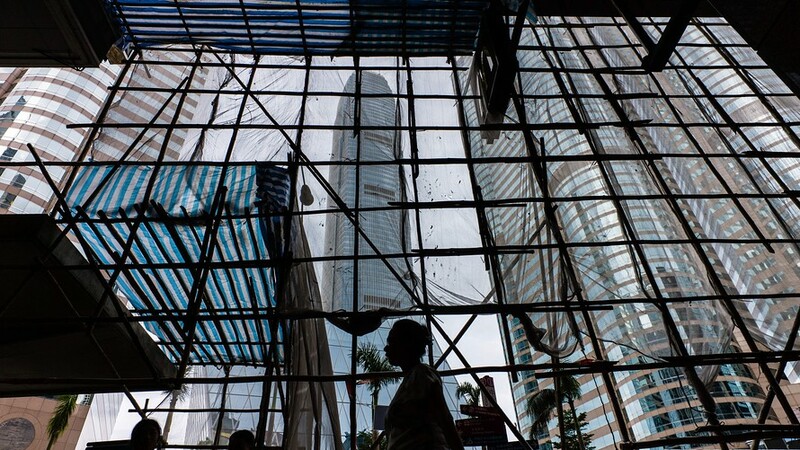 Financials in China and Hong Kong came under pressure after the country’s banking and insurance regulator announced credit support for the private sector. As well, losses Friday could be a fresh sign that last week’s start-of-November bounce which gave a number of Asian indexes their best week in years hasn’t erased market concerns which have been persisting for months. Japan’s Nikkei NIK, -1.05% fell 1%, sliding from its 2½-week high Thursday. Nikon 7731, -9.44% tumbled 9%, while robot-maker Fanuc 6954, -4.79% slid around 5% and Nintendo 7974, -2.64% fell 2.8%. After rising 6 of the past 7 trading days, Hong Kong’s Hang Seng Index HSI, -2.39% was down 2.4%. Tech remained weak, with smartphone-component makers AAC 2018, -1.61% and Sunny Optical 2382, -1.30% both down some 4%; they’ve respectively slumped 19% and 12% this week, and AAC is trading at fresh 2½-year lows. Meanwhile, internet heavyweight Tencent 0700, -4.90% was off 4% after overnight weakness in the U.S. for its ADR. Energy stocks were down similarly as U.S. oil prices entered bear-market territory Thursday. China’s Shanghai Composite SHCOMP, -1.39% fell 1.3% — on pace for a fifth-straight drop — while the smaller-cap Shenzhen Composite 399106, -0.43% was off just 0.3%. Industrial & Commercial Bank of China 1398, -2.73% fell 2.7%, while Agricultural Bank of China Ltd 1288, -3.31% fell over 3%. Those moves came after Guo Shuqing, chairman of the China Banking and Insurance Regulatory Commission (CBIRC), reportedly also said banks need to make at least a third of new loans to private companies. South Korea’s Kospi SEU, -0.31% slipped 0.3%, while benchmark indexes in Taiwan Y9999, -1.16% , Singapore STI, -0.49% and Malaysia FBMKLCI, -0.77% also posted declines. Australian stocks XJO, -0.11% dipped 0.1%, led by energy stocks, with Woodside Petroleum WPL, -1.32% and Oil Search OSH, -1.41% off over 1% each. New Zealand stocks NZ50GR, +0.40% bucked the regional trend, rising slightly.